YoYo flywheel device similar to the one used in the study from the Karolinska Institute in Stockholm. There is a lot to learn about exercise today! About the blood building effects of intermediate hypoxia, about the impressive effects on strength and power you can elicit, if you do your squats on a flywheel device such as the one to the right, and - let's not forget that - the indisputable evidence that you just have to cut back on your screen time to make room ... ah, I mean "time" to turn from a sedentary slob to an active individual. Apropos screen time! Let's not prolong your screen time more than necessary with this lengthy introduction, but get straight to the point - I mean, the news, of course! 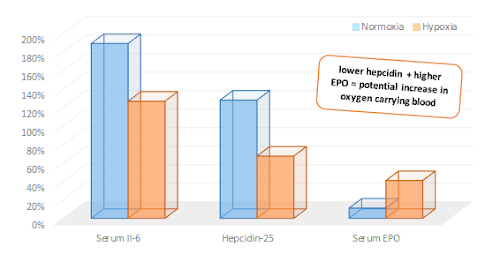 The EPO-Effect of Oxygen Shortage : A study from the University of Western Australia shows athletes who train in a low-oxygen environment (simulated high altitude training) have significantly higher hepcidin (a protein that inhibits iron transport from the gut into the portal vein)and erythropoietin (EPO) levels in the early hours after the workout. As Claire E. Badenhorst and her colleagues point out, this would lead to an immediate increase in dietary iron absorption and formation of red blood cells that may be partly responsible for the well-known ergogenic effects of altitude training. Whether the decreased IL-6 levels immediately after the 8 × 3 min interval running sessions at 85 % of the subject's maximal aerobic capacity are likewise something to celebrate is yet questionable in view of the most recent research on the involvement of this allegedly "bad" inflammatory cytokine (Knudsen. 2014) - I mean, if, as Knudsen et al. argue, the IL-6 increase is responsible for the increase oxidation of fat after a workout you would not necessarily want to decrease it... correct?! The improvements in maximal strength and power, researchers from the Karolinska Institute in Sweden have observed in their latest experiments have been "slightly greater" in the male vs. female subjects. In view of the overall effect size, it is obvious, though that eccentric-overload resistance training is a training technique, both men and women should not forget about prematurely (Fernandez‑Gonzalo. 2014). Eccentric Overload Training for Him and Her - While you are looking at the data in Figure 2 you do have to keep in mind, thought, that doing 6 weeks (15 sessions) of flywheel supine squat RE training is probably not what you had in mind, when you read about "eccentric overload training for him and her" - right? A Little Less TV, a Little More Sports! I must say, I was not surprised when I hit on a recent study by Sjaan R. Gomersall, Kevin Norton, Carol Maher, Coralie English, and Tim S.
That's the title of the paper that was published in the Journal of Science and Medicine in Sport. And if we are honest it's also a paper with unsurprising results. It does after all tell us, what most of you will probably already have expected: Reducing their screen time (=TV watching) is the #1 setscrew that will allow previously sedentary individuals to make room for exercise in their lives. 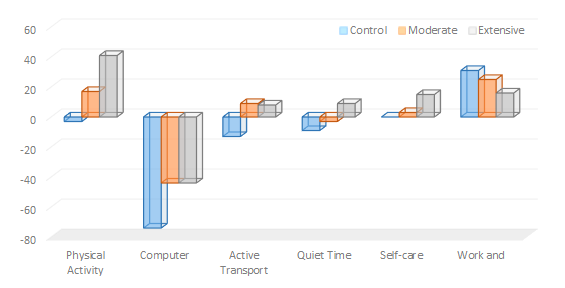 Figure 3: Changes Physical Activity Level (PAL, in METs) and time (min/day) in front of the computer, for active transport, self-care, quite time and work and study activities (Gomersall. 2014). Likewise on the list of reduced activities are the time spent in front of the computer and the time that's wasted on video games (not shown) - wasted unless it's Tetris, of which you've learned only recently that it will help you lose weight; see "An Effective Appetite Suppressant From the 90s" (learn more). Bottom line: Whether you manage to exercise in a hypoxic environment or on a flyhweel machine is unquestionably negligible, as long as you decide to exercise instead of sitting in front of computer and television for a couple of hours, everyday. Why you would possible want to do that? Well, what about the 23% increase in obesity risk that comes with 2h of additional screen time per day of which Banks et al. observed in the 91 266 participants of the 45 and Up Study that it cannot be compensated by extra physical activity (see Figure 4; Banks. 2011)? in athletes." European Journal of Applied Physiology (2014). Banks, Emily, et al. 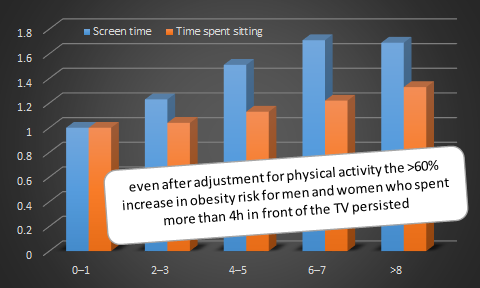 "Screen-time, obesity, ageing and disability: findings from 91 266 participants in the 45 and Up Study." Public health nutrition 14.01 (2011): 34-43. Fernandez‑Gonzalo, R et al. "Muscle damage responses and adaptations to eccentric-overload resistance exercise in men and women." European Journal of Applied Physiology (2014). Knudsen, Jakob G., et al. "Role of IL-6 in Exercise Training-and Cold-Induced UCP1 Expression in Subcutaneous White Adipose Tissue." 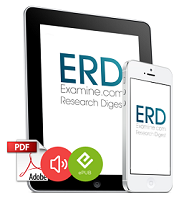 PloS one 9.1 (2014): e84910. Gomersall, Sjaan R., et al. "In search of lost time: When people start an exercise program, where does the time come from? A randomised controlled trial." Journal of Science and Medicine in Sport (2014).